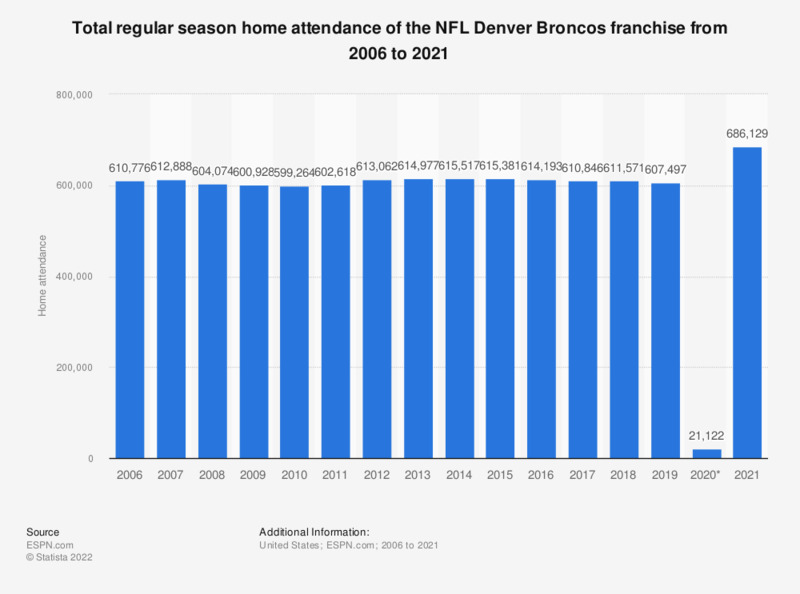 This graph depicts the total regular season home attendance of the Denver Broncos franchise of the National Football League from 2006 to 2018. In 2018, the regular season home attendance of the franchise was 611,571. Everything On "Denver Broncos" in One Document: Edited and Divided into Handy Chapters. Including Detailed References. What price (in $) do you consider appropriate for a new board game? Women: On an average day, how many hours do you spend on the topic of shopping?